Dr. Ken A. Honsik is a Board Certified and Fellowship Trained Sports Medicine Specialist. He has served as a team/event physician to professional, college, high school, masters, and youth athletes for the past 20 years and is currently a head team physician for St. Mary’s College and is a team physician for UC Berkeley. Dr. Honsik utilizes musculoskeletal diagnostic ultrasound for the more accurate diagnosis and treatment of musculoskeletal disorders. Through the use of ultrasound for guidance, he is able to provide care of chronic tendon injuries with microsurgical techniques such as Tenex (tenotomy), which can be performed in the clinic setting. Learn more about the Tenex procedure. 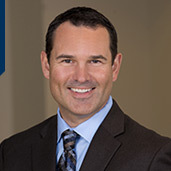 Along with his sports medicine colleague and national regenerative medicine expert, Dr. Chad Roghair, Dr. Honsik has been providing consultations, education, and elite level regenerative/biologic services at The Cal Sports Orthopedic Institute. His regenerative services/treatments include PRP (platelet rich plasma), Amnionic Tissue (AmnioFix), and STEM cell therapies for the treatment of muscle, tendon, ligament, cartilage, and bone. He is a master level instructor for sports and musculoskeletal medicine. He has been educating and training physicians at all levels of experience since 2000. His titles have included: Assistant Fellowship Director of the Kaiser Permanente Sports Medicine Fellowship Program, Associate Professor/Faculty for UC Davis residency training program, and most recently with UC Davis/Valley Consortium for Medical Education where he has been on faculty as the Musculoskeletal and Sports Medicine Curriculum Director/Coordinator as well as faculty for the orthopedic residency program. Dr. Honsik was recognized as faculty of the year on several occasions by his colleagues and students. Since 2012, Dr. Honsik has been instructing resident orthopedic surgeons in physical exam skills, fracture care, and musculoskeletal ultrasound diagnosis as well as ultrasound-guided procedures and injections. Currently Dr. Honsik is on staff as a team physician for St. Mary’s College. Prior to joining the California Sports and Orthopaedic Institute, Dr. Honsik has served as the team physician for California State University Stanislaus, University of La Verne, Pomona-Pitzer College, and Pitman High School. Dr. Honsik attended DePauw University and University of Illinois for his undergraduate degrees and graduated with honors from Rush Medical College in Chicago. At DePauw, he completed on the track team and was the school Hammer throw record holder for 10 years. He is very active in his community. He is an Assistant Scoutmaster with Boy Scouts of America and a member of the U.S. Masters Swim program. He is also an avid outdoorsman who enjoys back country hiking and camping. His wife is a family physician who specializes in dermatologic disorders. They both enjoy keeping up with their two kids and having great family adventures. Please call the office to setup a consultation and meet Dr. Honsik.